I've become accustomed to looking for Kanye West's latest rant whenever I scroll through my Twitter feed. The rapper has become synonymous with random tweeting sprees — talking about everything from the high price of education to deadmau5's mouse ears. Sometimes his tweets are nonsensical, while other posts are downright offensive, but in his latest messages, The Life Of Pablo artist made a surprising announcement. 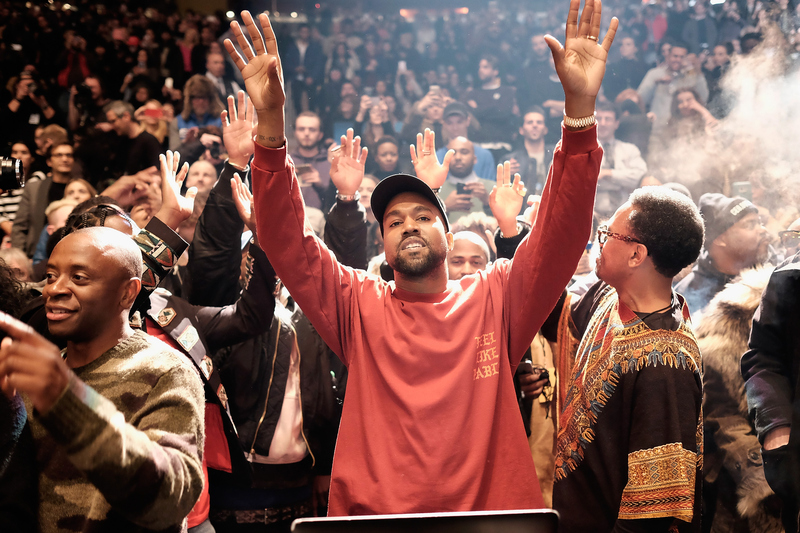 West is no longer going to make CDs; instead, he'll rely solely on streaming services. Whether or not he meant this comment seriously, it may actually be a great thing. No, I don't mean fans should be deprived of his music. Instead, it could actually help the environment. More than 5.5 million boxes of software go to landfills and incinerators, plus people throw away millions of music CDs each year! It's worth noting that CDs are not biodegradable, and when they're burned, they can release toxic chemicals into the air. Even recycling has environmental trade-offs. CD and DVD recycling is now an emerging technology, which means that many companies are not yet capable of recycling these discs. So, while recycling CDs and DVDs saves natural resources, the trade-off comes from the amount of fuel and energy that's consumed to transport discs long-distances to an appropriate recycling facility. So yeah, that doesn't sound great. According to EcoCoalition.org, one pound of plastic can make 30 CDs. In order to make one pound of plastic, it takes 300 cubic feet of natural gas, two cups of crude oil, and 24 gallons of water — that's a lot of natural resources. Taking into account these numbers, let's do some Yeezy-related math. Back in 2013, in its first week, West's Yeezus album sold 327,000 copies, landing him at the top of the Billboard 200 chart. If you take that number (327,000 CDs) and divide it by the amount of discs made per pound of plastic (30 CDs), you're left with a whopping 10,900 pounds of plastic, which adds up to 3,270,000 cubic feet of natural gas; 21,800 cups of crude oil; and 261,600 gallons of water. Keep in mind, that's only week one. Meanwhile, West's very first album, The College Dropout, debuted in 2004 and went triple-platinum by April 2015. Do you know what triple-platinum means? That's the equivalent of 3 million albums. Dare I do the math? If those were all actual compact discs, it would take 100,000 pounds of plastic to make those CDs. That equates to 200,000 cups of crude oil. According to a 2013 stat on his label Def Jam Records' website, West has sold over 21 million albums. Let's calculate: It took 700,000 pounds of plastic to make the CDs that the "Famous" singer sold from the start of his career through 2013. This means it took 210 million cubic feet of natural gas, 1.4 million cups of crude oil, and 16.8 million gallons of water to make that happen. Of course, 'Ye isn't the only musician who produces CDs. According to Nielsen's Music U.S. Report, in 2014 there were nearly 141 million albums sold in the U.S. That means it would take 4.7 million pounds of plastic to produce all of those discs. I'm sure Mother Nature is crying at the thought. The conclusion here? By not making any more albums, West would be doing the planet a huge favor. If he inspired other artists to follow suit, that would save plenty of plastic, which also equals more water, crude oil, and natural gas. Granted, I don't think he is on a quest to save the environment. But hey, that would be a major benefit if he sticks to this plan.